My husband and I recently went out for a “date night” to Blue Elephant Thai Sushi and Italian. I had a Groupon that needed to be used and I’d been there once before for lunch and the Thai was delicious. I must admit, the “Italian” part still throws me off but nonetheless, I knew the Thai and Sushi would be delicious. If you aren’t up for going out, they also do take-out and delivery if you are in their delivery area. 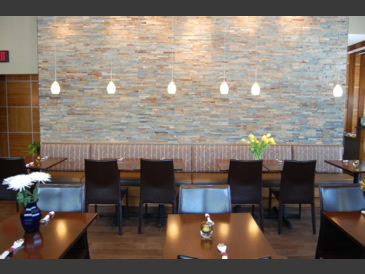 The restaurant is in Hyde Park on Wasson Rd. It’s a quaint spot with parking to the right of the building and on the street in front of the restaurant. One of the things that I noticed almost immediately was the number of families including children; in fact, we may have been the only “date night” without kids in there on that Thursday night. It kind of made me wish we’d brought them; they actually love Thai and Sushi and just asked last week to go to Sweet Basil Thai and Sushi again. We haven’t been eating out a lot lately and I guess they are ready for something besides our home cooking. It was nice actually, the atmosphere (light and open) supports the family style dining nicely and all the children were well behaved and seemed to be enjoying the ethnic cuisine. While I didn’t notice any Italian being served, it was on the menu. They also had a full sushi bar and our sushi was delicious. My husband and I shared a bento box with a little bit of everything and he raved over the miso soup and teriyaki sauce served with our choice of salmon (chicken and beef were also offered). We will go back sometime and this time bring the girls. When not blogging for Family Friendly Cincinnati, you can find Phyllis writing at her personal blog, Cincyhealthcoach.com. 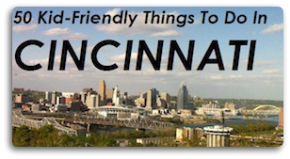 Greater Cincinnati's top parenting blog, helping parents discover all the things that make Cincinnati and northern Kentucky a great place to raise a family since 2009. Contact us at FamilyFriendlyCincinnati (@) Gmail.com.